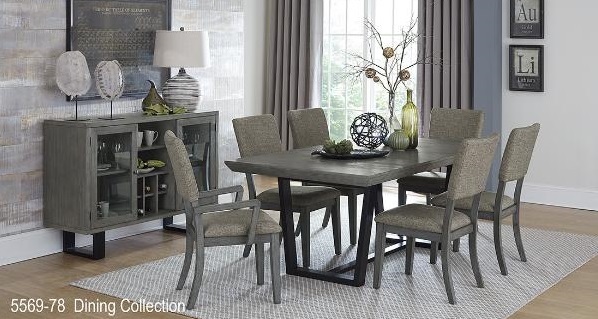 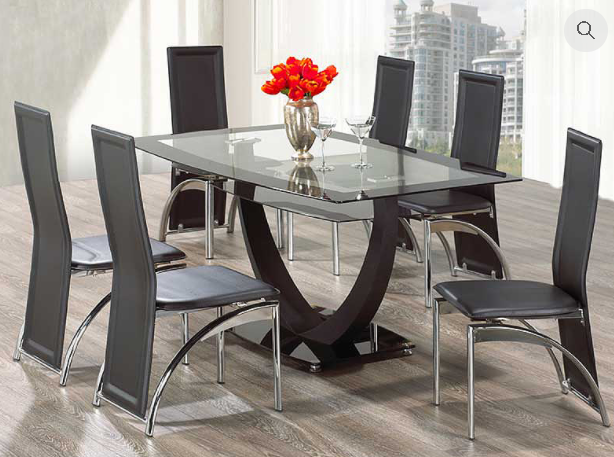 This Modern Dining Table set includes Table and 6 Chairs. 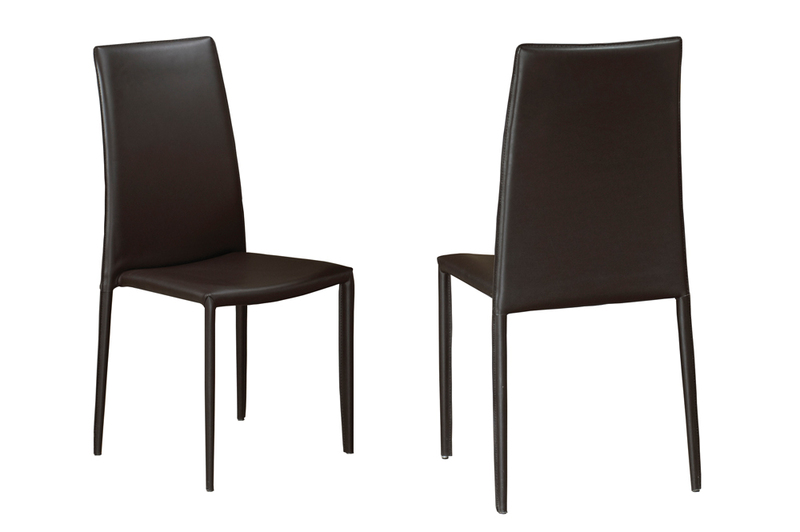 This contemporary dining set has a great contrast, using black and white combinations in the Chairs. 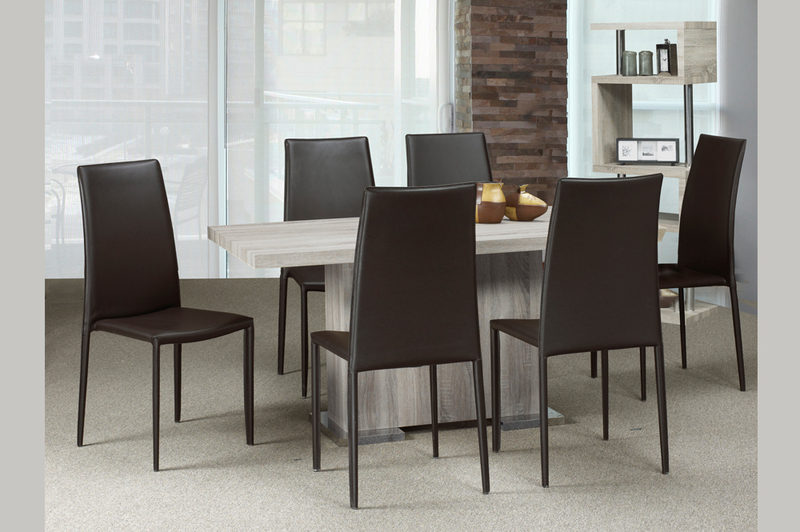 Table easily pulls out to store the leaf and change the dimensions to create a new look.